Style, value and water-efficiency – the Euphoria shower collection offers a wide choice of hand and head showers and a range of spray patterns, enabling you to create a sensory showering experience even on a limited budget. 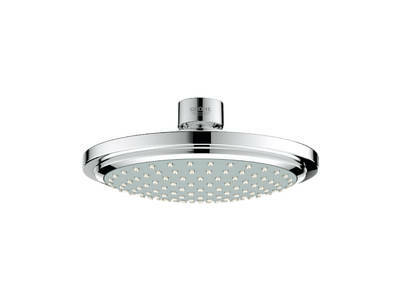 To complete your shower, choose from three styles of head shower design. The classic Euphoria hand and head showers are joined by Euphoria Cube – a concise collection of shower heads with architectural appeal. Featuring true square design, the range embraces minimalist design to work in harmony with our Cosmopolitan faucet collections. 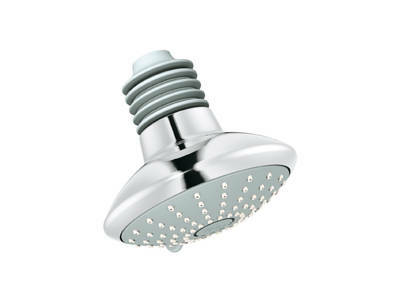 The Euphoria Rustic showerhead blends modern shower technology with details harking back to the era of classical design. 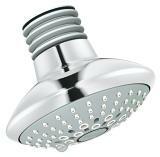 The 160 mm head shower can be swiveled in any direction and delivers the perfect rain spray, which according to market research is the most frequently used spray pattern. Equipped with GROHE EcoJoy™ and GROHE DreamSpray® technologies, Euphoria Rustic offers a rich shower experience with particularly even, precise and efficient water distribution. A precise combination of square and rectangular shapes enhanced with the latest GROHE technologies make Euphoria Cube the smart choice if you appreciate minimalist design in the bathroom. The reduced lines and modern aesthetic of the hand shower reflect the crisp square outline of the head shower in this understated collection, which introduces pure geometric forms to your shower environment. For perfect delivery of our exhilarating Rain spray pattern, Euphoria Cube showers feature GROHE DreamSpray® technology.